Join us for a day of art and learning in the North Street Garden, led by the current class of North Street Affiliated Artists. 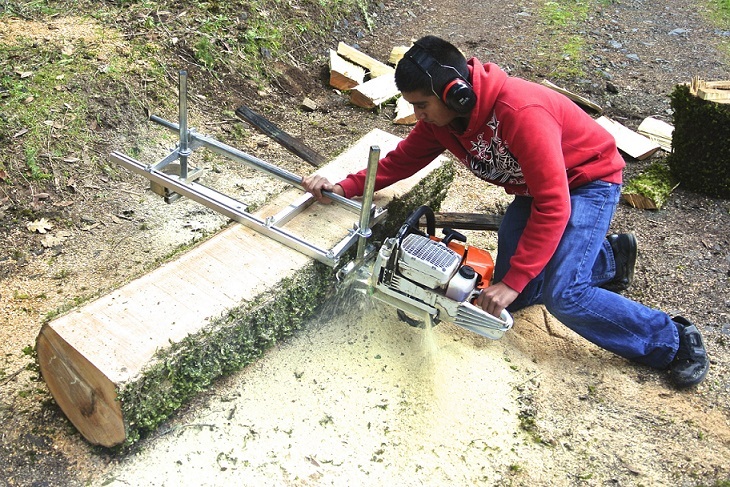 Select, prepare, and mill lumber out of locally sourced logs, using an Alaskan Chainsaw Mill. Work side-by-side with an accomplished woodworker to make your own flute out of the local hardwood of your choice. Use a solar transfer technique to make prints from fir tree branches, sprigs, and leaves from the yard. Use fir tree needles to create a one-of-a-kind batch of soap. Linger over a homemade garden meal to reflect on the day and give input into the future of the North Street Collective. We’ll visit woodworkers, artisans, galleries, and the forest to gather ideas and learn from the work of our coastal neighbors. Discuss the role of care-taking in creating thriving communities and sustainable economies, including forestry, woodworking, and other local industries. Carpools will caravan out Highway 20. Visit Star Fargey and his fellow artists at their Artisan Village in Fort Bragg. We’ll have a stop in downtown Fort Bragg for lunch. Plan to enjoy a local restaurant or bring a bite to eat from home. Take a tour of the papermill and gallery work at the Lost Coast Culture Machine in Fort Bragg. Hike the beautiful waterfall trail underneath the redwoods.